Q: Tracy, I find it difficult to keep clear and focused about my training and exercise regime. Do you have any suggestions about what I can do to stay motivated? A: You're right! It is hard to stay motivated in a society that promotes the easy road. SNU (Sports Nutrition Update) is a monthly subscription online audio series that Cory and I have been offering for over 10 years now. It's highly motivational, extremely educational and you can have a few good laughs while you're at it. SNU will keep you abreast of what's new in the world of Sports Nutrition, Health and Fitness. SNU speaks to current topics associated with athletic performance, including fitness and exercise training, anti-aging and body composition management. It also reports on the effects of various dietary supplements, their role in human nutrition and examines how antioxidants, carbohydrates, fats and proteins influence the chemistry, structure and function of the human body. The special expert guest interviews are also outstanding as the information is always fresh, current and state-of-the-art. So get with the program and "listen UP" in your car, at the gym or on your lunch break. 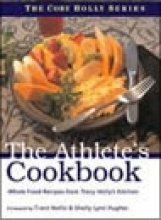 Q: Tracy, I have read your book "The Athlete's Cookbook" and I'm totally enjoying the recipes. Are you planning to write another cookbook in the future? A: Thank you so much. I'm very happy to hear that you're using "The Athlete's Cookbook". It's designed to keep you healthy and lean year round. These are the foods we eat daily and which keep us functional and able to perform at optimum levels. 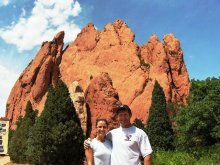 Cory and I have examined many cookbooks for athletes and prefer not to follow recipes that include food artifacts such as white sugar, white flour or margarine. When it comes to food we're only interested in the "Real McCoy". Q: Cory I use creatine monohydrate to enhance my strength and performance. What form of creatine do you use and when is the best time to take it? A: I've pretty much used them all including creatine monohydrate, phosphate, citrate and ethyl-ester in serum, liquid, gum, caps, effervescent and powder. At the end of the day I choose and use micronized creatine monohydrate powder above all. Another good form is Magnesium Creatine in powder form. MgCr combines the forces of magnesium and creatine monohydrate into a single synergistic and patented molecule. The formation of a chelate of creatine with magnesium protects creatine from degrading to creatinine. Higher quantities of creatine are thus available to muscle cells yielding a higher potential energy status. In research Magnesium Creatine has outperformed pure creatine monohydrate due to superior absorption and the acid-buffering capacity of magnesium. Magnesium is alkaline-forming and is essential to the production of enzymes that regulate the function of creatine phosphate in the cell, including the release of phosphate and the re-phosphorylation of ADP to ATP. The best single time to take creatine is after training in a protein shake with high-glycemic carbs. In unilateral studies where only one leg is exercised to failure (single leg extension) creatine is elevated up to 40% higher in the exercised leg compared to the non-exercised leg when creatine is taken after the actual exercise is performed. Exercise depletes creatine phosphate so the body is geared up for replenishment. Elevating creatine levels in blood plasma through post-workout oral administration makes the creatine easier to transport and absorb compared to accessing it through endogenous (internal) means.